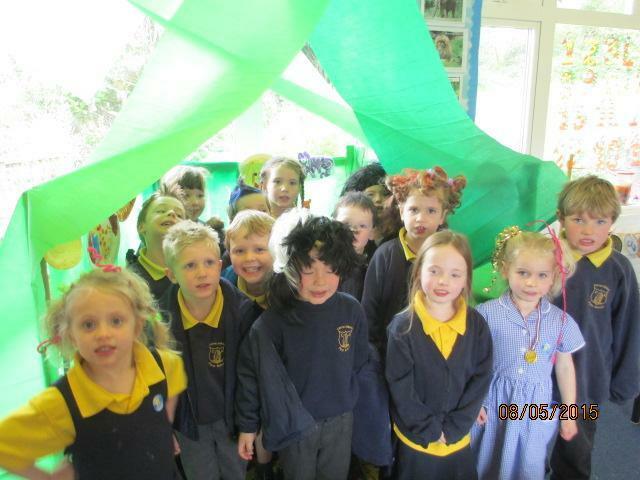 Today we have had our Wacky Hair Day which the children have loved! We have had pipe cleaners, ribbons, hair dye, hair clips, hair gel and various other things in hair! Thank you to all the parents for all your effort and chocolate donations for the May Fair. 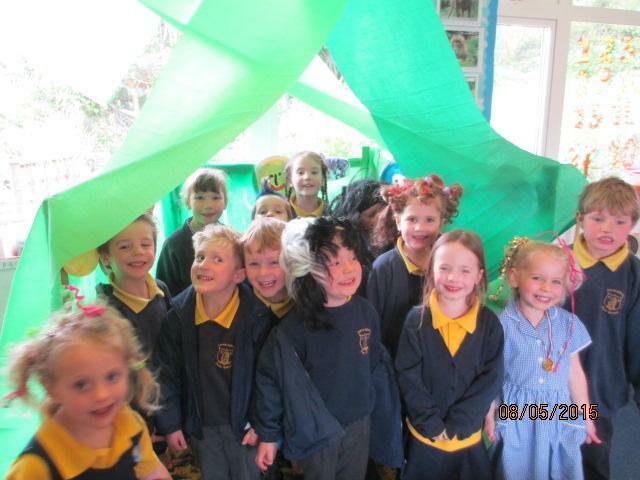 This week we have been very busy learning about the book 'Rumble in the Jungle'. 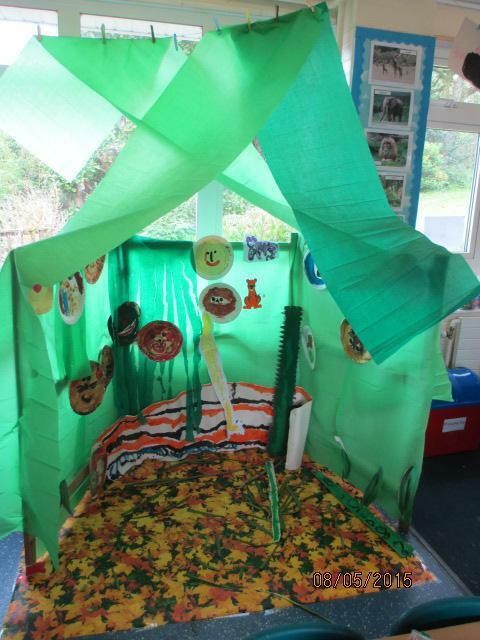 We have been writing our own poems and have made a class poetry book as well as creating our own jungle in Giant Class. 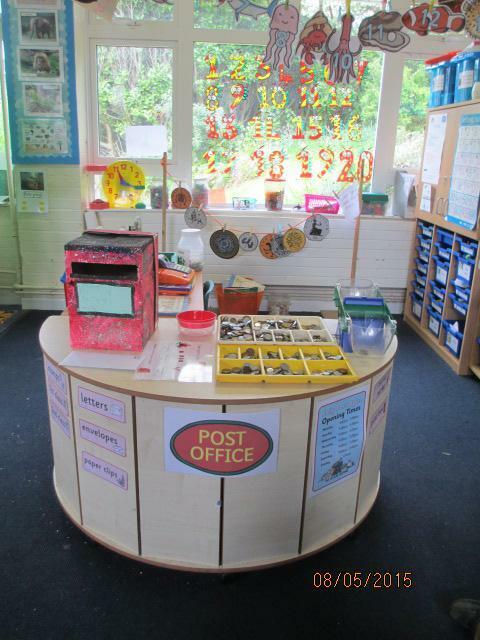 We have also had a Post Office in our Maths area to help us learn about money, shapes and measuring. We have also had some super letters written and sent off! This was a result of our visit to the Post Office last week. The children have told me they would like to learn about the story 'Sir Scallywag and the Deadly Dragon Poo' next week...I will update you again next week!